Kenneth Segal, president of Segal & Morel, has been in the home-building business since 1960. Our company has learned a lot over the years, but the most important is to maintain a strong awareness of what our customers in New Jersey and Pennsylvania need, want and expect. Our ability to consistently deliver superior quality construction, innovative floor-plan design, and extraordinary value has earned us the acclaim of industry experts. 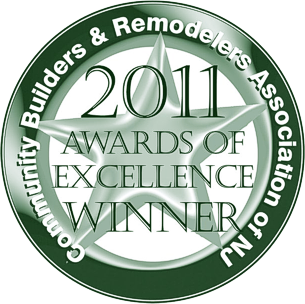 And while we're proud of the multitude of prestigious awards we've received over the years, we understand that our homebuyers and renovators are choosing their builder based on a proven commitment to customer satisfaction...and that's our first priority. As an example of our dedication to this line of work we have been members of the Community Builders and Remodelers Association for decades and are proud to be a family of three generations of builders.